While on one side of the country, we have the city of Toronto seemingly moving backwards in efforts to make roads safe for cyclists, the European Cycling Union awarded Vancouver the 2012 Velo-City Global Conference. It would be interesting to see Vancouver Mayor Gregor Robertson sit down with newly appointed Toronto Mayor Rob Ford to talk about their differing views of what makes up a truly world-class metropolitan city. It may go without saying that I think shared roads for motorists and cyclists should be a prerequisite. But, then again, what do I know. 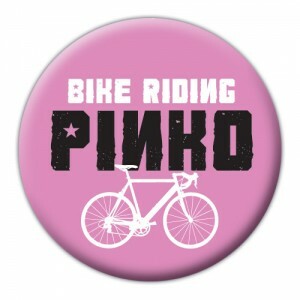 I mean, we certainly don’t want to have our cities overrun with pinkos, now do we?! Though I don’t completely agree with the his pro-motor vehicle stance, in all fairness to Mayor Rob Ford, the Don Cherry blunder aside, he actually isn’t as anti-bike as I originally thought. In the article I linked to above, it talks about how he has still pledged millions to bike lanes, but with the qualification ‘where they make sense’. And to be honest, I don’t necessarily disagree with that approach, depending on how much ‘reasonability’ and common sense they actually apply to determining where bike lanes make sense or not. Time will tell. This could just prove to be a tactic to stall, or halt bike lane construction in major city arteries altogether, without just actually coming out and saying it. At any rate, Vancouver, and Canada really, should be proud that the Velo-City Global Conference will be here. This will, after all, be the first time the conference has been held outside of Europe since 1996. An estimated 1,000 delegates from around the world will attend the conference, discussing successful integration strategies for bicycles and motor vehicles in metropolitan areas from around the world. I wish it was coming to Edmonton, but I guess I may just have to take a trip to Van in 2012. I was missing my weekly dose of bikeridr over the holidays, its nice to see you are back and posting again. Thanks, man! Nice to hear.